Sense Blazer Mini Replacement Coil, 0.2ohm, 0.4ohm and 0.6ohm coils are available. 5pcs each pack. Get them as spare parts. 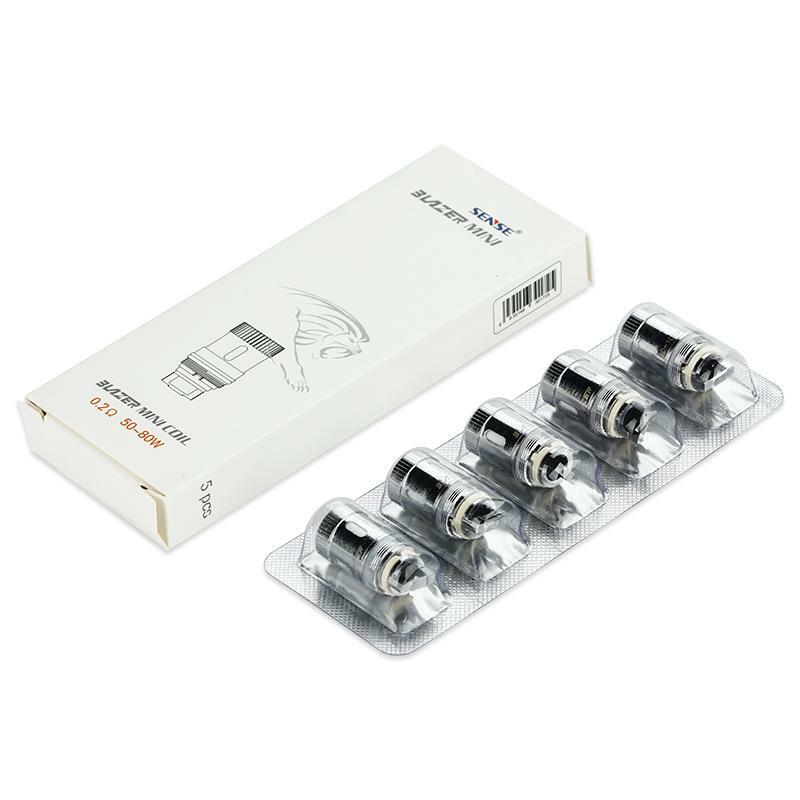 Sense Blazer Mini Replacement Coil: 0.2ohm, 0.4ohm and 0.6ohm coils are available. 5pcs each pack. Get them as spare parts so you never run out. • It's for Sense Blazer Mini. 5pcs Sense Blazer Mini Atomzier Coil provides exceptional cloud-chasing performance and flavor recreation for the Blazer Mini Sub-Ohm Tank. These coils are very convenient in replacement, and they generally hold a good flavor.